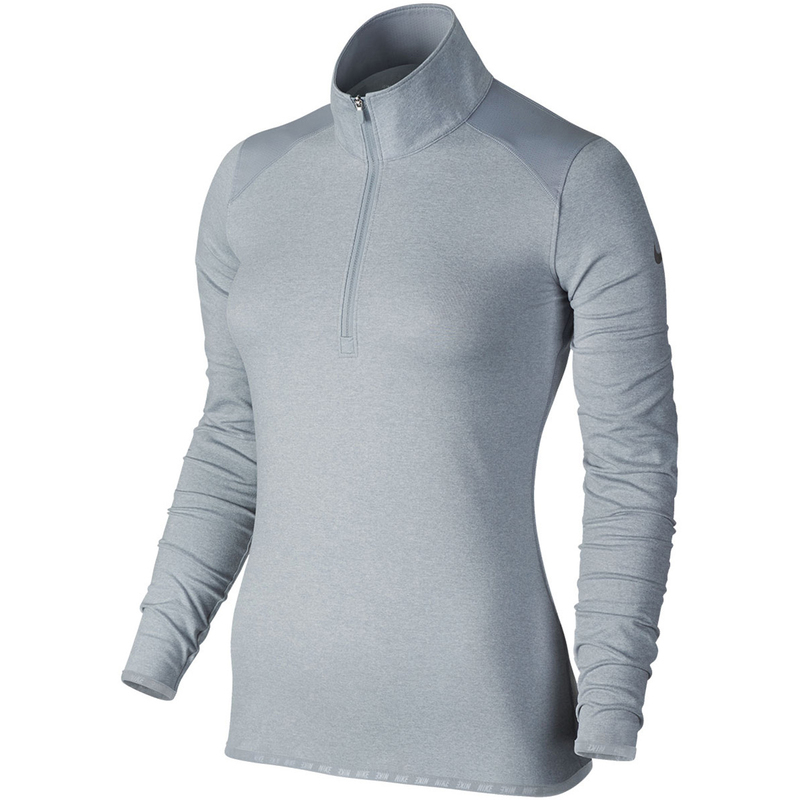 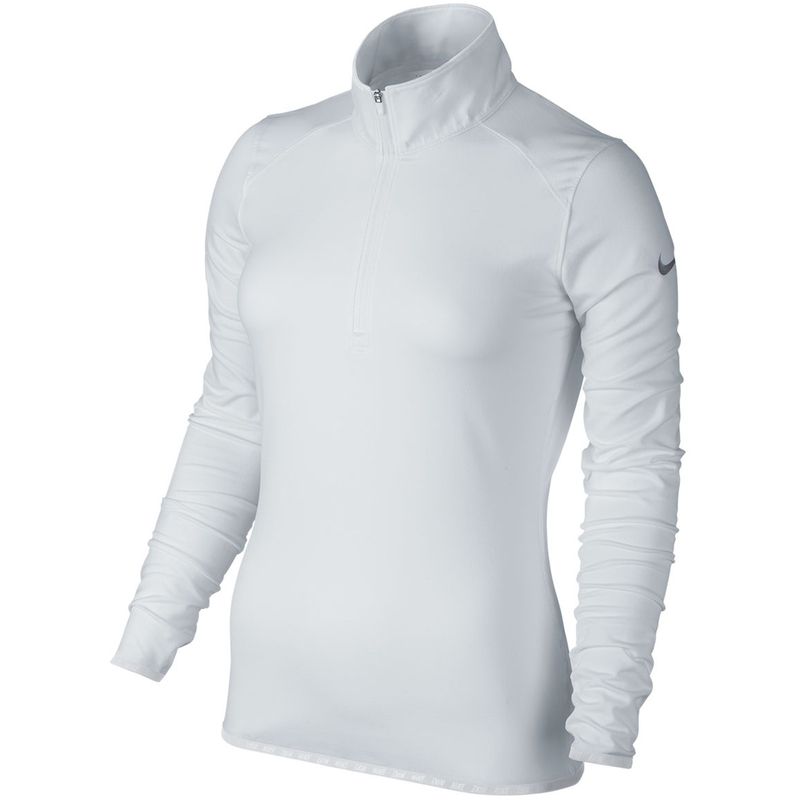 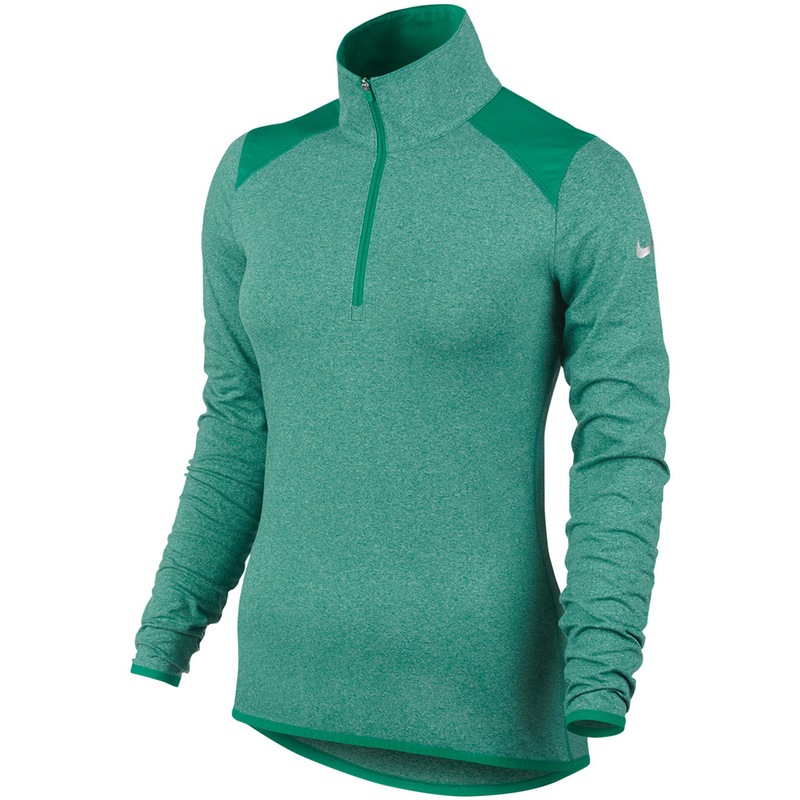 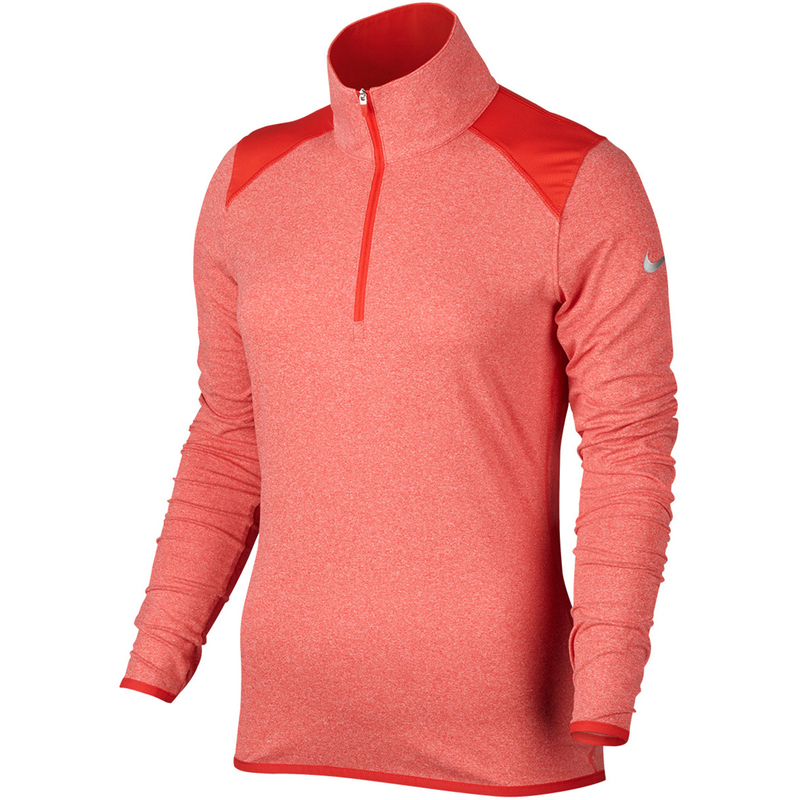 The Nike Golf Ladies Lucky Azalea 2.0 Windshirt is the perfect outer layer to keep you comfortable this season. 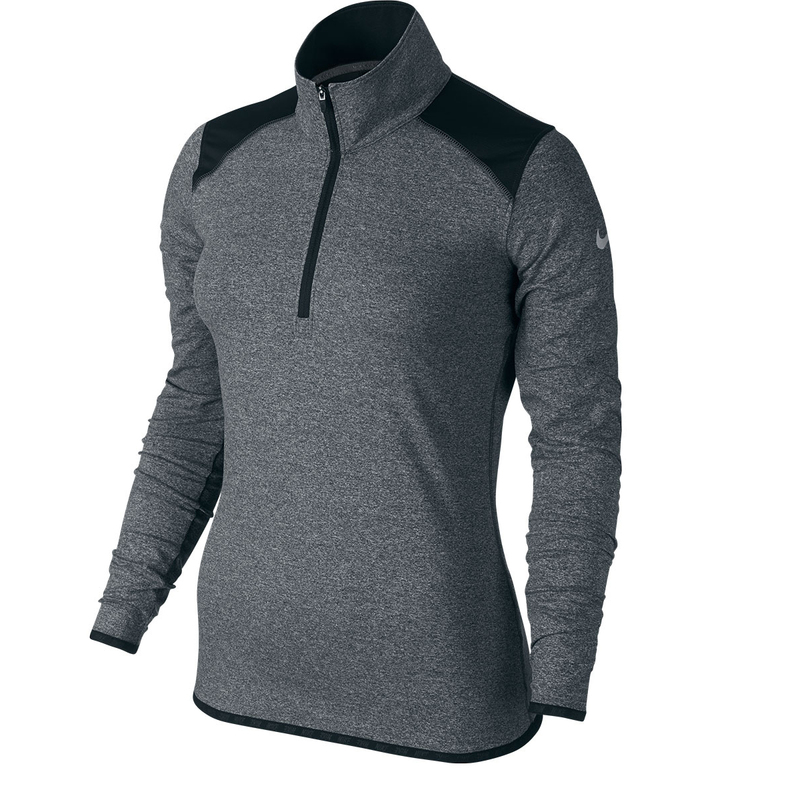 For protection against the windchill factor the shirt has a mock neck with half zip opening which helps block out the elements. 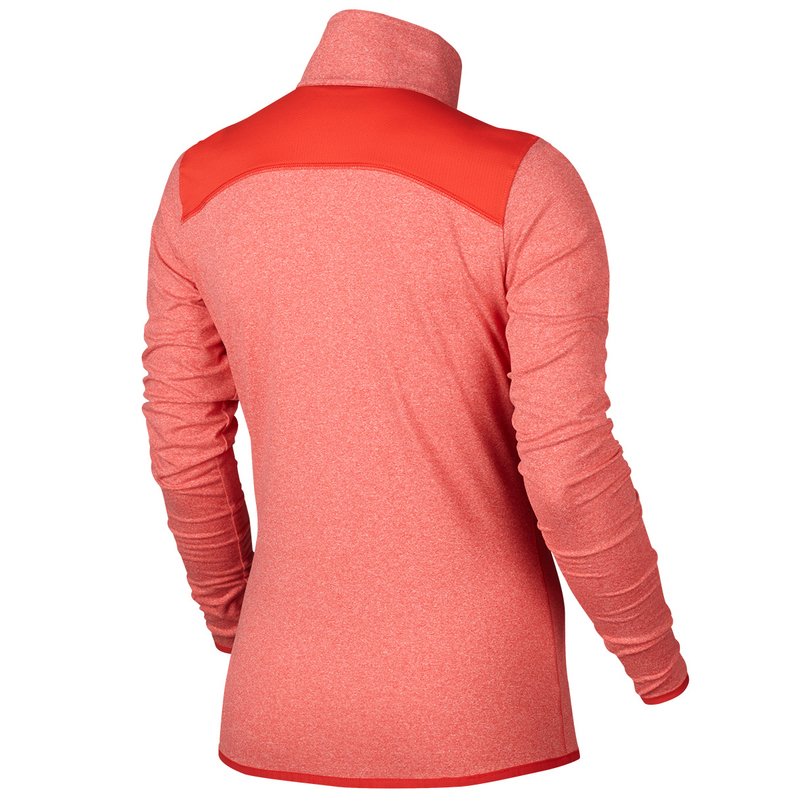 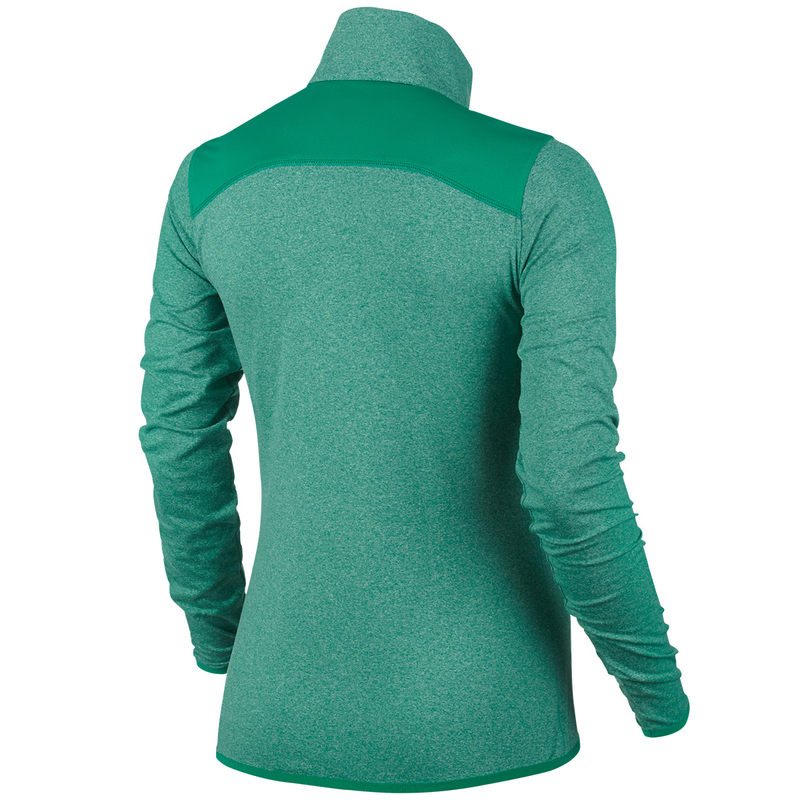 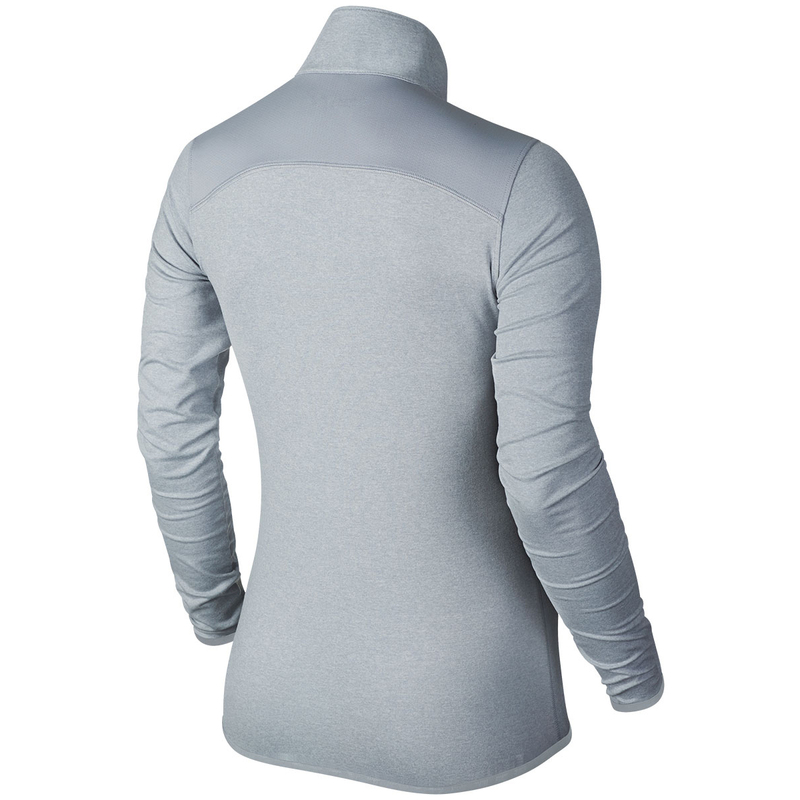 For added comfort the winshirt has been made with Dri-Fit technology fabric which evaporates moisture to keep you dry and comfotable during play. 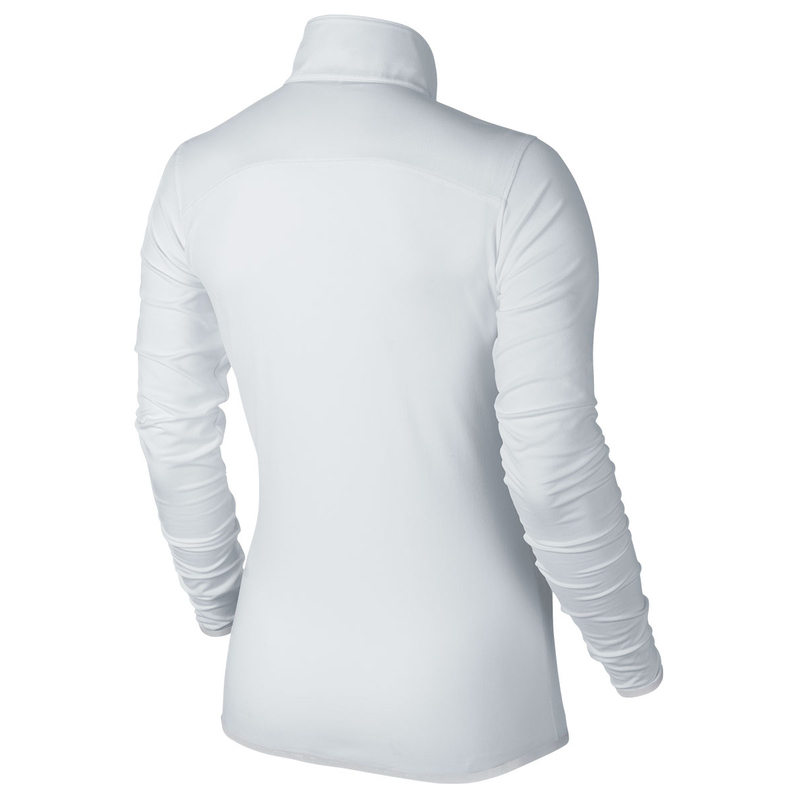 To assist your game the garment has a blend of performance stretch fabric to ensure freedom of movement during the golf swing. 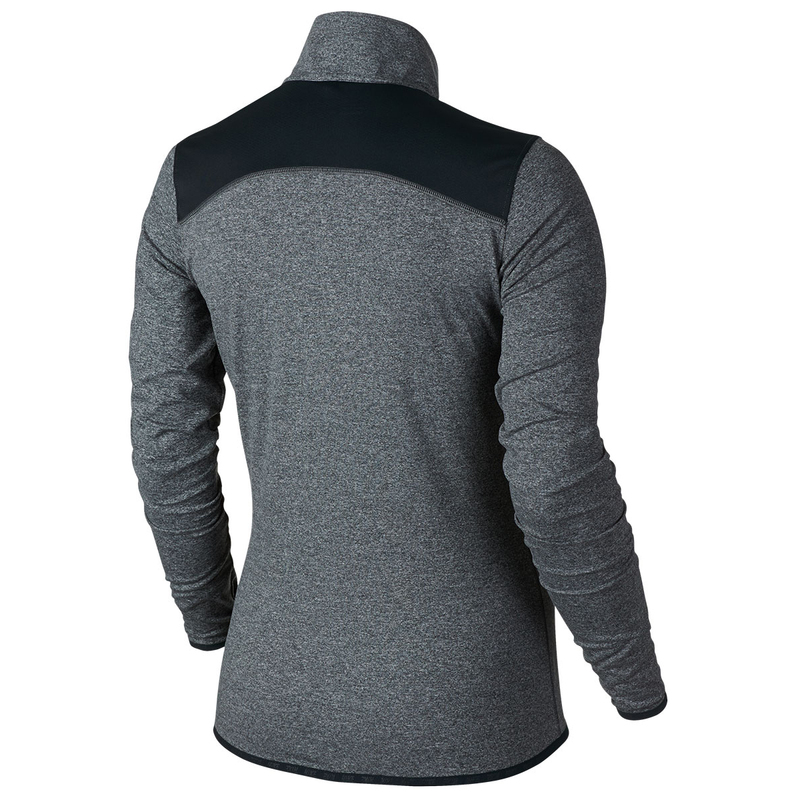 Other details include the Nike swoosh logo on the left sleeve.